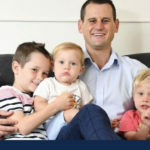 We thought it was time for another juggler interview, so this week we have invited listener Hayley Mcgillivray on to the show to share how she manages the juggle between her career as an Innovation Facilitator at the Commonwealth Scientific and Industrial Research Organisation, two young daughters and FIFO husband. What really stands out from our chat with Hayley is that her life hasn’t happened by chance. She often mentions having conversations with her husband where they have asked themselves what they want their life to look like and then set about making it happen. 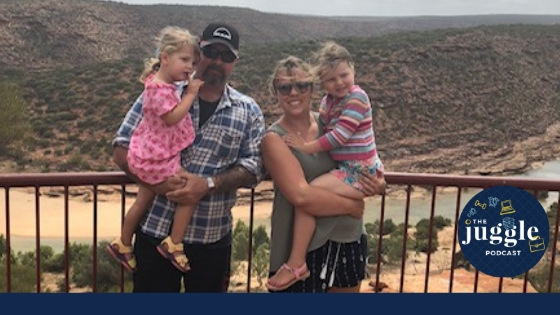 She is intentional about ensuring she makes time for the things that are important to her and her family and keeps perspective, particularly when it comes to things that are more challenging with a FIFO partner. Giving herself permission to do what is important to her (think date night, Pilates), without making excuses! Hayley’s advice: What do you look like at your most fabulous? What are some things you can do that will make you feel good? Then work out how to make them happen! Being ok with being “a little bit rubbish” – you don’t have to be great at everything. Be comfortable with not doing (or enjoying!) everything.